Offering you a complete choice of products which include natural calcium carbonate, coated calcium carbonate powder, calcium carbonate powder, calcium carbonate for rubber industry, calcium carbonate for paper industry and calcium carbonate for filler masterbatch. Ground Calcium Carbonate (Marble base) sized-ground marble is an Indian sourced and is an acid soluble engineered sized, product that can be used as a bridging agent for fluid loss applications, increasing fluid density for drill-in applications. Ground Calcium Carbonate (Marble base) is available in different particle size ranges: 2.5, 5, 25, 50, 150 and 600, also available as per customer’s specification. The numbers reflect the nominal median particle size (d50) of the product. The Ground Calcium Carbonate (Marble base) has a specific gravity of 2.7 and resists size reduction through attrition while drilling, compared to ground limestone. Colour: Super snow white ( Free from dirt & black dirt). Particle size: Available from 150 microns to 5 Microns. For Oil Rig Industries Natural Calcium Carbonate powder is used as an acid soluble weighting and bridging agent in work over and completion fluids. 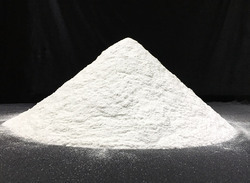 Depending upon customer requirement, we can offer natural calcium carbonate powder in various grades and Particle size analysis report can be submitted along with supply (Malvern Make Particle size analyzer – U.K.) As a weighting agent CaCo3 can be used to extend the brine’s maximum weights. As a bridging agent, the correct blend of suitable Particle diameter can be used to effectively for sealing the pores in the production formation, thus minimizing the invasion of fluid. Because the material is derived from Marble a metamorphic and highly crystalline form of Natural Calcium Carbonate it does not break down in the high shear conditions encountered in drilling. Breakdown of weaker materials derived from other sources leads to increased invasion of the producing formation. After acidifying no material is left behind to impair the permeability of the producing formation when production of Oil starts. 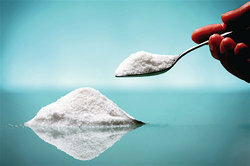 We are offering an extensive range of Coated Calcium Carbonate Powder to our clients. We have a team of qualified and skilled quality checkers who test these products thoroughly in accordance with the international standards of quality. 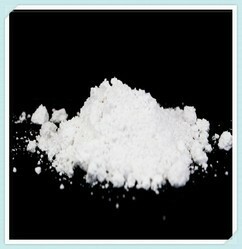 This Coated Calcium Carbonate Powder is offered by us to customers at reasonable rates. PVC is a versatile polymer well suited for a variety of pipe applications ranging from large sewer piping to residential drain waste vent piping, as well as smaller potable water piping and electrical conduit. Natural Calcium carbonate powder offered by us contributes to the ultimate performance properties of this wide variety of piping applications. For maximum property development and formulation flexibility, our surface-treated carbonates are designed to give good dispersion along with excellent incorporation in the polymer matrix. It improves the base properties of polyvinyl chloride by adding stiffness to the polymer matrix and improving impact resistance as particle sizes become smaller. 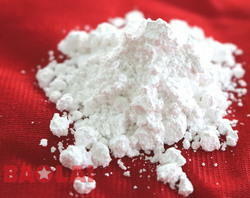 We are offering a wide range of Calcium Carbonate Powder. We are reckoned amongst the top names in the industry, engaged in offering the superior grade of Calcium Carbonate For Rubber Industry to our prestigious clients. Further, these products are available in different packaging at reasonable prices. Natural calcium carbonate powder formulated by us is used in the production of natural and synthetic rubbers. It maintains their flexibility and increases their resistance to torsion and traction thus improving their mechanic and electric characteristics. Our calcium carbonates diminish rubber aging, material fatigue, do not change their external aspect and do not induce heat and avoid ruptures. 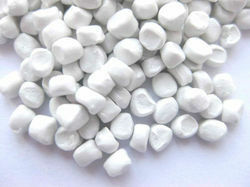 We offer Calcium Carbonate Filler Masterbatch. These are high-quality nano caco3 white masterbatch which is super ultrafine particle size and permit exceptionally high filler loading without compromising impact strength or ductility.